You can sue your insurance company for emotional distress and economic loss if it unreasonably denies a legitimate claim. Your insurance policy is a unilateral contract between you and your carrier that states your insurer’s promise to pay your claims in return for paid premiums. There are laws to protect consumers against insurance companies that deny claims in bad faith, which means the insurer acts dishonestly to avoid paying by not thoroughly investigating or intentionally delaying the claim process, or if it breaches your contract by not fulfilling the duties outlined in the policy. Read your insurance policy to determine your coverage. Your policy booklet will inform you of the perils you are protected against and what conditions are acceptable. This booklet is your contract with the insurance carrier and outlines what it promises to pay for in case you file a claim. Determine if your loss is covered. Your policy will also provide a definitions section to help you understand insurance jargon and gain further insight into the claims process and how your insurance company evaluates a lost. You should have received a booklet when your policy started; however if one is needed, you can call your insurance company to request another copy. Contact your state insurance department. Insurance is regulated by the state, and each state has a department that supervises insurance companies. All states have a process for filing complaints against carriers and most offer a mediation process to resolve issues. If the state finds the insurance company did not act in accordance with the law to pay your claim in good faith, then the state will force the carrier to pay and may even fine the company for dishonest practices. Get estimates of your damage. Contact an appraiser or an independent adjuster to provide you with an assessment of your loss. This will help to substantiate the amount of the settlement you request. Contact the National Association of Independent Adjusters to find an adjuster in your area. Gather all evidence associated with your claim. Keep a record of all the letters, days, times and names of people you spoke with at the insurance company. This information will help you to present your case in court and show that you fully cooperated with the insurance carrier in trying to settle the claim. Get free legal help. Most states and nonprofits offer free legal advice. Seek this free counsel before you file suit to get an expert second opinion about your case. Also, ask for an in depth review on the legal process and what specific steps you should take to sue your insurer in your state. File suit with the proper division within your local court district. 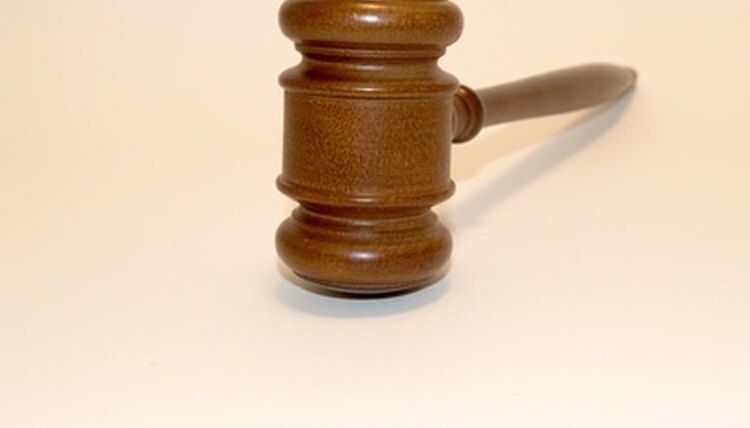 Small claims court allows individuals to sue without a lawyer up to $5,000. Visit the court’s clerk office to obtain the correct forms to file your lawsuit. Prepare case. To present your case, determine the specific reason for the lawsuit. Convey a clear grounds for why your insurance company acted in bad faith or breached the contract. Making an outline that includes the facts of your claim in comparison to what your insurance policy covers will help you with your delivery. Bring all your evidence with you on your court date, including notes from conversations with your insurer, receipts, appraisals and letters from your carrier. AMPM Insure: Sue Your Insurance Company: When and How? Manuel, Tabatha. "How to Sue an Insurance Company Without a Lawyer." , https://legalbeagle.com/6680534-sue-insurance-company-lawyer.html. Accessed 22 April 2019.